My favorite author is Samuel Langhorne Clemens. Most people know him as Mark Twain. It’s fair to say that he was the first global celebrity and that fame was always associated with his pen name. Only recently did I discover that his wife, Mrs. Clemens hated the Twain name. Toward the end of his life, Samuel Clemens was tired of the pseudonym. Maybe the lesson is that engineered names for people and companies are not zero-risk endeavors. I still have a visceral hatred for the man that named his son Sue before walking out on his family. Even though it’s fiction, it strikes an emotional chord. Hearing that song as a child may have been the first inclination that certain grownups were just plain mean. Companies that name themselves sometimes do it so poorly that they literally blow up. The Chicago Tribune was once a global brand. How they devolved into calling themselves Tronc is baffling. At least they changed it back. 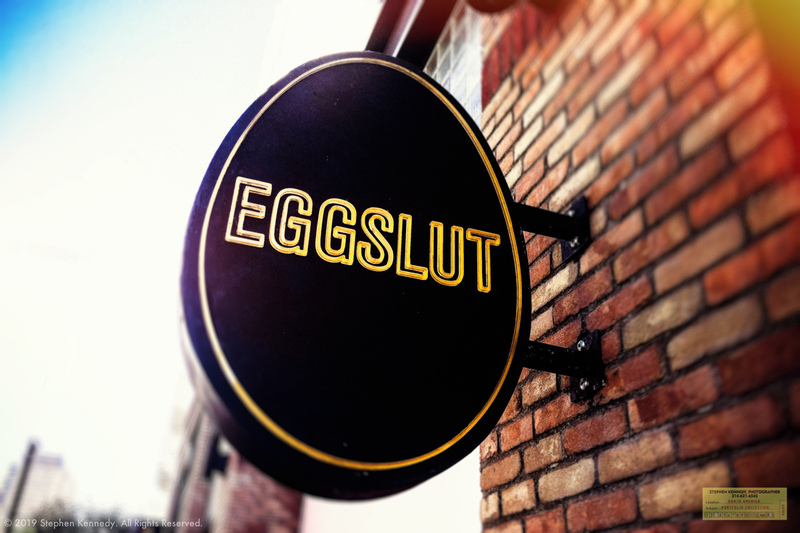 One mystery with no answers is this little breakfast restaurant in Los Angeles. I’ve eaten there twice and here’s what I learned. If you order a salad on the day in which forks are out of stock, it’s entirely possible to eat a salad with a spoon. But it’s not advised. I also discovered that coddled eggs, like coddled children, are very unappealing. My advice, order the burger and fries at the Shake Shack next door.